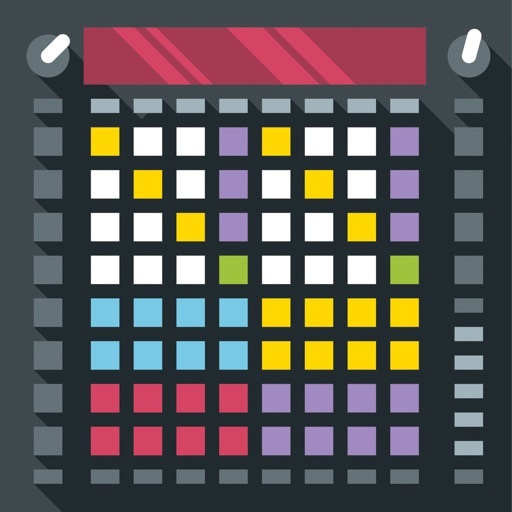 Harmony Improviser is an advanced harmonic composition tool. It implements the rules of classical harmony theory in a simple, yet powerful form, to support your creative efforts. The main interface consists of a set of pads. 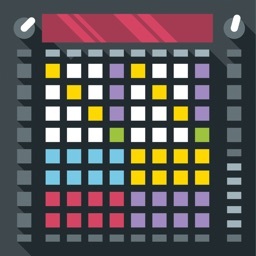 Each of them is playable and represents a different chord. All presented chords belong to a particular key, which can be selected in Settings section, by circle of fifths based controller. 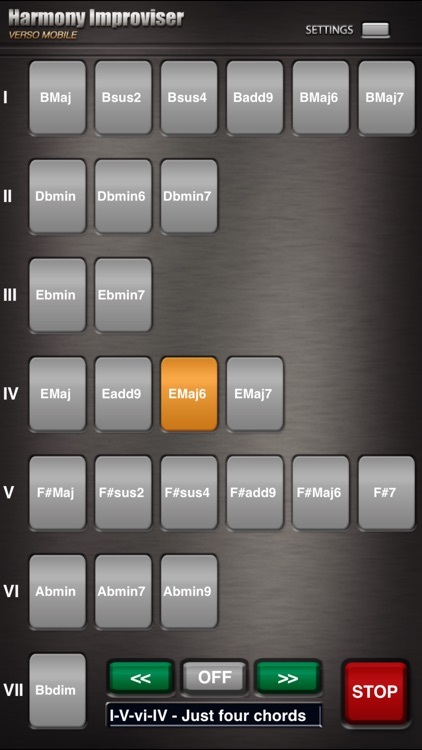 Selecting new key causes chords to update accordingly to newly selected key. 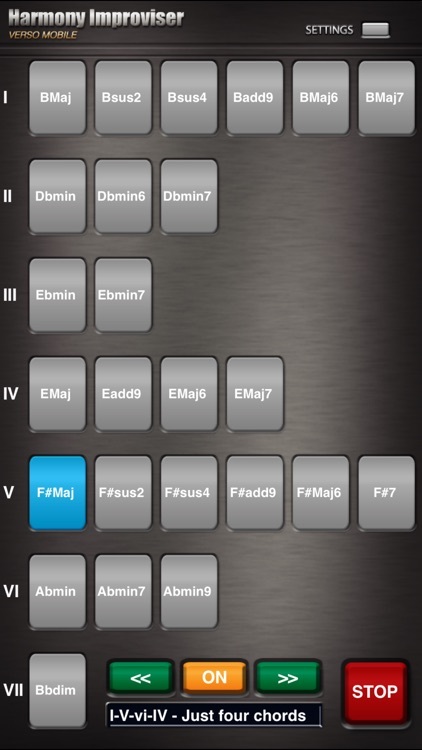 Harmony Improviser also allows you to select which chord types you want to use. 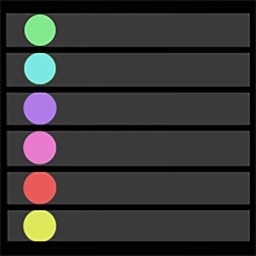 There are several types available, including: major, minor, sus2, sus4, add9, 6th, 7th, 9th, dominant, diminished. You can enable or disable any of them at any time. 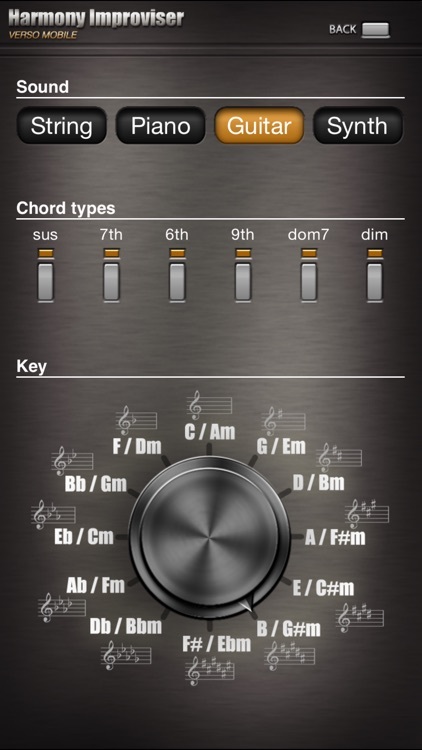 4 high quality sounds are available: string, acoustic guitar, acoustic piano and synth.